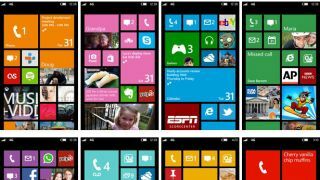 Microsoft is remaining bullish about the Windows Phone store, and has confirmed that it now boasts over 200,000 applications. That may sound like an impressive figure, but take a quick glance at the competition and you'll see both Android and iOS are hovering around the one million apps mark. Of course both Google's and Apple's offerings have been around longer, but Joe Belfiore, VP and manager for Windows Phone Program Management, said back in November that Microsoft will close the app gap by the end of 2014. Considering it's taken the Windows Phone store a year and a half to go from 100,000 to 200,000 we find it unlikely that in 12 months time it'll be comfortably riding alongside its Android iOS rivals. Both the Apple App Store and Google Play took six months to jump from 100,000 to 200,000 apps, and growth since they hit the latter has ramped up significantly. There have been some big names joining the Windows Phone ranks in 2013, with the likes of Vine and Instagram helping to boost the store's offering and providing some hope for the future.